Beautiful authentic mansion. This location is suitable for both large and small groups, and has all the amenities and luxuries. The room has many large windows, which provide enough daylight. This creates a warm and pleasant atmosphere. 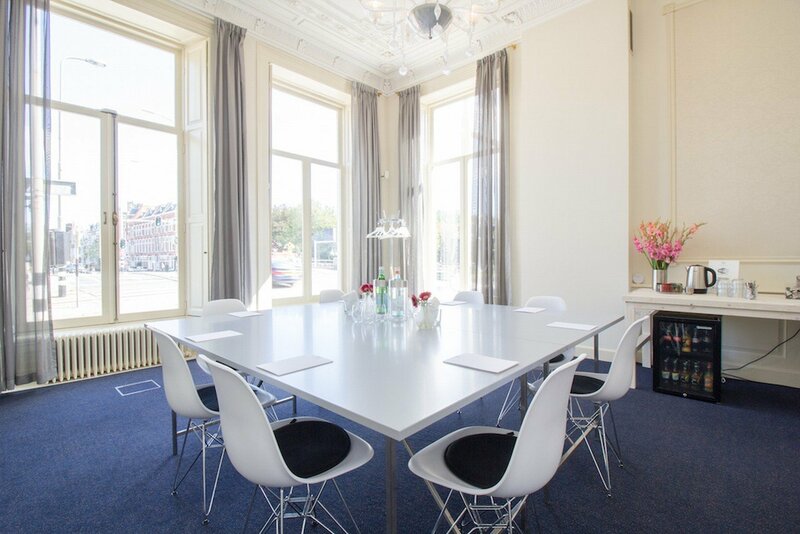 The space is ideal to use as a meeting room or for training courses for small groups. The room has a table for 8 people. This location is located in the Hague, close to the Malieveld. Perfect for your meeting, training session or workshop.